How is tail recursion different from regular recursion? What do continuations have to do with this, what is CPS, and how do trampolines help? This article provides an introduction, with code samples in Python and Clojure. All the function calls here are in tail position. Note that this conversion wasn't as simple as for the factorial; it's much less obvious how to come up with the algorithm, and we even changed the number of calls - there's only one recursive call here, while the original fib_rec had two. Obviously, it's challenging to have no calls outside a tail position in a function that calls multiple functions. You may say - who needs to compute a factorial of 1000? And that may be true; however, with multiple recursion the problems start much earlier. If you try to compute the 50th Fibonacci number using fib_rec as shown above, you'll end up waiting for a very long time, even though the request seems modest at first glance. The reason is the exponential complexity of the naive implementation. Note that fib_tail doesn't suffer from this problem because there's no exponential tree of calls, but it will also happily blow the stack when run with a sufficiently large number. The same is true for fact_tail, by the way. Tail recursion itself doesn't solve the stack issue; another ingredient is required and we'll cover it shortly. Some languages do not support TCO, however. Python is one of those - Guido explicitly states that TCO is unpythonic and he doesn't want it in the language. In the end of this post I'll explain why I think it's not a big deal for Python. For other languages, it's a much bigger problem. Note the similarity between this code and the Python fib_tail shown earlier. This is not a coincidence! Once the algorithm is expressed in tail form, it's pretty easy to convert it to an iteration pattern manually; if it wasn't easy, compilers wouldn't be able to do it automatically for the past 40 years! Only slightly more awkward than the Clojure version - but it's essentially the same approach. Since the tail call carries the whole state around in arguments, we just imitate this using an explicit loop and state variables. The iterative solution is what we really want here - it avoids the exponential algorithm and the stack explosion. It also doesn't incur the costs of a function call and return for every iteration. The only problem is that we have to do this manually in languages that don't support TCO. The beauty of automatic TCO is that you can write your algorithm recursively, and get the performance & runtime characteristics of an iterative solution. At this point you may wonder how to convert indirect / mutual recursion to an iterative pattern - for example the even / odd pair above. While this doesn't present a problem for the compiler , to do it manually is indeed more challenging. We'll be covering this topic later in the article when we get to trampolines. Before we get to the more advanced topics, I'd like to present a few more realistic functions with an elegant recursive formulation that would be challenging to rewrite iteratively. """Merges two sorted lists into a single sorted list. Returns new list. lst1 and lst2 are destroyed in the process.""" # Note: pop(0) may be slow -- this isn't optimized code. In a way, merge sort always reminds me of postorder tree traversal - we recurse to the left, then recurse to the right, then combine the results. Such algorithms are fairly tricky to convert to non-recursive code. Try it! Chances are you'll end up emulating a stack, or coming up with an entirely different algorithm. The full Python code is here; parse_expr calls parse_term; parse_term calls parse_factor; parse_factor, in term, calls parse_expr. For a complex expression, the call stack will end up containing multiple instances of each function, and at least in theory it's unbounded. Continuations are a cool concept in computer science, hailing from the earliest days of functional programming. There's tons of information online about continuations; my modest attempt to explain them here is just the beginning! If this looks interesting, make sure to google for more information. What happens in this last invocation? expr-cps gets called with some continuation. It computes 3 + 4 and passes the result into the continuation. This continuation happens to be the doubling continuation, which applies 2 * value to its value and passes this result to its own continuation. That continuation, in turn, is a "plus 100" continuation: it applies value + 100 to its value and passes the result to its own continuation. If all of this looks like a masochistic exercise in inverting the call stack (note how the continuations are composed - from the inside out), just a bit more patience - it will all start making sense soon. The -cps suffix of expr-cps stands for Continuation Passing Style, by the way, which is the style of programming we're seeing here; converting "normal" code into this style is called CPS-transform (or CPS conversion). The only tail call here is to the outermost +. Both the * and the inner + are not in tail position. However, if you carefully examine the CPS approach, all the operator calls are in tail positions - their results are passed directly into the relevant continuations, without any changes. For this purpose we do not count the continuation application as a function call. We're going to be using this wonderful feature of CPS very soon to great benefit. But first, a brief dip into theory. The formulation of end-cont I'm using in the example above may appear peculiar. It prints its value - but what if we want to do something else with it? The strange print is a trick to emulate real, or unbounded continuations in a language that doesn't support them . Applying unbounded continuations is not just calling a function - it's passing control without hope of return. Just like coroutines, or longjmp in C.
Unbounded continuations do not return to their caller. They express a flow of computation where results flow in one direction, without ever returning. This is getting beyond the scope of the article, but when unbounded continuations can be treated as first-class values in a language, they become so powerful that they can be used to implement pretty much any control-flow feature you can imagine - exceptions, threads, coroutines and so on. This is precisely what continuations are sometimes used for in the implementation of functional languages, where CPS-transform is one of the compilation stages. I'd love to expound more on the topic, but I'll have to leave it to another day. If you're interested, read some information online and play with a language that supports real continuations - like Scheme with call/cc. It's fun and scary at the same time. Even though most programming languages don't support real, unbounded continuations, bounded continuations is another deal. A bounded continuation is just a function that returns to its caller. We can still use CPS but just have to be realistic about our expectations. Applying a bounded continuation simply means calling a function - so the stack will grow. It looks a bit weird because we could just inline the (* 2 value) into the internal call, but keeping them separate will help us later. Armed with this new tool, let's revisit some of the Python functions from the beginning of the article. For the factorial, we used an extra parameter to get a tail-call version; for Fibonacci we needed two; for more advanced examples (like merge sort) it wasn't very clear how to do the conversion. CPS-transform to the rescue! Pass each function an extra parameter - cont. Whenever the function returns an expression that doesn't contain function calls, send that expression to the continuation cont instead. Whenever a function call occurs in a tail position, call the function with the same continuation - cont. Whenever a function call occurs in an operand (non-tail) position, instead perform this call in a new continuation that gives a name to the result and continues with the expression. And once again, it's easy to see this version contains no calls that aren't in tail position. As opposed to the conversions shown in the beginning of the article, this one is much less ad-hoc and follows a clear recipe. In fact, it can be performed automatically by a compiler or a source transformation tool! The recursive-descent parser sample has an example of a more complex CPS-transform applied to realistic code, if you're interested. Now we're ready to discuss why we want to place all calls in tail position, even if our language doesn't support TCO. The final tool that ties things together is trampolines. 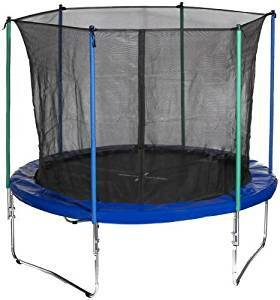 As used in some Lisp implementations, a trampoline is a loop that iteratively invokes thunk-returning functions (continuation-passing style). A single trampoline suffices to express all control transfers of a program; a program so expressed is trampolined, or in trampolined style; converting a program to trampolined style is trampolining. Programmers can use trampolined functions to implement tail-recursive function calls in stack-oriented programming languages. But wait, what's a "thunk-returning function"? This example shows how we ask the interpreter to evaluate an expression. Then, we wrap it in a thunk: in Python simply a lambda with no arguments. The thunk itself is just a function. But when we call the thunk, the expression is actually evaluated. Thunks can be used to emulate Lazy Evaluation in languages that don't support it by default (like Python, or Clojure). But for our uses in this post, thunks are an essential part of the solution to the stack explosion problem. The trampoline is a Python function. It takes a function and a sequence of arguments, and applies the function to the arguments. Nothing more exciting than delayed evaluation so far. But there's more. If the function returns a callable, the trampoline assumes it's a thunk and calls it. And so on, until the function returns somethings that's no longer callable . The full Fibonacci sample shows how to use thunks and trampolines to compute the Fibonacci sequence without growing the stack. I hope the pieces have fallen into place by now. By using a combination of CPS and trampolines, we've taken arbitrary recusive functions and converted them to tail-recursive versions that consume only a bounded number of stack frames. All of this in a language without TCO support. If you're left wondering how realistic this is, let's go back to the topic of mutual recursion. As I've mentioned before, Clojure doesn't support TCO, even though it's a Lisp. To overcome this, the recommended programming style in Clojure is explicit loop...recur iteration, which makes tail-recursive algorithms relatively easy (and efficient) to express. But this still leaves Clojure with the problem of mutual or indirect recursion, where loop...recur doesn't help. Note how small the difference from the non-thunked version is. This is due to Clojure's awesome syntax for anonymous functions, where a thunk is simply #(...). While the tools described in this post can (and do) serve as building blocks for some compilers of functional languages, how relevant are they to day-to-day programming in languages like Python and Clojure? The answer is, IMHO, not very, but they're still worth knowing about. For Clojure, quite obviously Rich Hickey found trampolines important enough to include them in the language. Since Clojure is not TCO'd and loop...recur is only good for direct recursion, some solution had to be offered for mutual/indirect recursion. But how often would you use it anyway? Algorithms like merge-sort, or any tree-like traversal, tend to be fine just with regular recursion because the supported depth is more than sufficient. Because of the logarithmic nature of depth vs. total problem size, you're unlikely to recurse into merge-sort more than a few dozen times. An array needing just 30 divisions has to contain about a billion items. The same is true for recursive-descent parsing, since realistic expressions get only so large. However, with some algorithms like graph traversals we definitely have to be more careful. Another important use case is state machines, which may be conveniently expressed with indirect recursive calls for state transitions. Here's a code sample. Guido mentions this problem in his post on TCO in Python, and actually suggests trampolined tail-calls as a possible solution. That said, I personally believe that Python offers better ways to solve these problems. I've written before about using coroutines for modeling state machines. Since then, Python grew more supportive features - I've written about using yield from to implement lexical scanning, for example, and similar techniques can be adapted for parsing. In Python 3.5, even more features were added to support coroutines. I plan to find some time to dig in these and write more about them. All of this is to say that I wouldn't find much use for direct expression of CPS and trampolines in Python code these days. But I may be wrong! Please feel free to make suggestions in the comments or by email - I'll be really curious to know about realistic use cases where these techniques could be employed in modern Python. Regardless of their usefulness in modern Python, these topics are fascinating and I feel they improve my understanding of how some programming languages work under the hood. For this post I'm using Python 3.5 to run and test all the code, on an Ubuntu Linux machine; for a different version of Python or environment, the recursion limit may be different. Alternatively you may see TRE (Tail Recursion Elimination). TCO is more general because tail calls don't necessarily have to be directly recursive (as the is_even / is_odd example demonstrates). AFAIU, some JVM languages emulate TCO by using trampolines, but Clojure doesn't since it prefers to be compatible with Java and retain high performance. My information may be out of date here, so please feel free to comment if I'm wrong. The compiler can cheat by emitting constructs not accessible from the source language. What happens in practice, on the lowest level of emitted machine code, is that instead of a call the compiler just prepares a stack frame for the called function and jumps to it. Since the results of the called function will not be used in the caller (except returning them further up the chain), the compiler doesn't have to save any caller state. I'm using a Lisp (Clojure) here because it unifies the syntax of mathematical operations with function calls, which makes the explanation less convoluted. Clojure in this case, but Python doesn't support them either. Astute readers will note this is problematic when our code makes heavy use of first-class functions and we may legitimately return a function from another function call. This is true, and in this case it should be easy to make a thunk something more explicit than simply a lambda. We could, for example, encapsulate it in a type - Thunk, that we would check with isinstance inside trampoline, instead of just callable. Note that the new continuation constructed for the recursive call also returns a thunk. Figuring out why this is necessary is a good exercise!